From New York Times bestselling author Cinda Williams Chima comes the third gripping adventure in the Shattered Realms series, where intricately interwoven storylines converge as the warring Seven Realms struggle to unite against a horrific tyrant. 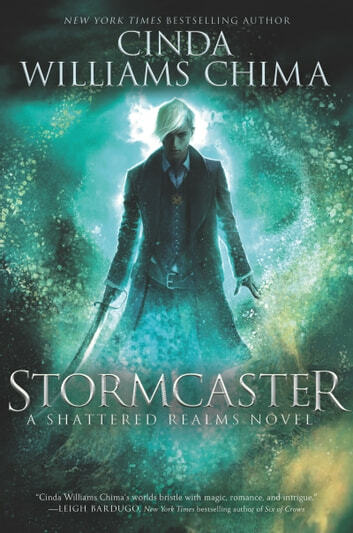 Vagabond seafarer Evan Strangward can move wind, waves, and weather, but his magical abilities can’t protect him forever from the brutal Empress Celestine. As Celestine’s relentless bloodsworn armies grow, Evan travels to the Fells to warn the queendom that an invasion is imminent. If he can’t convince the Gray Wolf queen to take a stand, he knows that the Seven Realms will fall, and his last sanctuary will be destroyed. Among the dead will be the one person Evan can’t stand to lose. Meanwhile, the queen’s formidable daughter, Princess Alyssa ana’Raisa, is already a prisoner aboard the empress’s ship, sailing east. Lyss may be the last remaining hope of bringing down the empress from within her own tightly controlled stronghold. Perfect  the plot, characters, I can't get enough! This series just keeps snaring me every which way! I've always found Evan Strangward to be an interesting, mysterious character, so imagine how happy I was to have a book featuring him as one of the lead characters, and to learn things about him and his past I never would have imagined. This is my favourite book thus-far. Not only do we get a little more information about the villain, who looks like she will be quite the challenge, but we learn a little more about the magemarked and what makes them so special. As I gushed earlier, about half the story focuses on Evan and his surprising connection to one character I hadn't expected. Their romance turned into my favourite relationship in the series so far, and I really hope it's expanded. Not only does Evan grow and mature into a fierce man, I also found myself wanting more of Destin. Like Evan, I always found him to be more than he was presented, and sure enough, I turned out to be a huge fan of his! Of course, other characters return and things get nuts as betrayals, double crosses, deception, assassination attempts, and alliances bring everyone together, and apart. The action was intense, the story engaging and exciting, and the danger more real than ever. I honestly want to see more of Jenna and Lyss, and their reaction to Adrian, and... and I better stop here before I give something away. 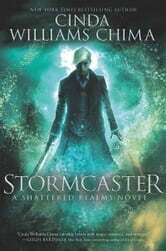 Just trust that this is an excellent YA Fantasy series that you need to check out now!